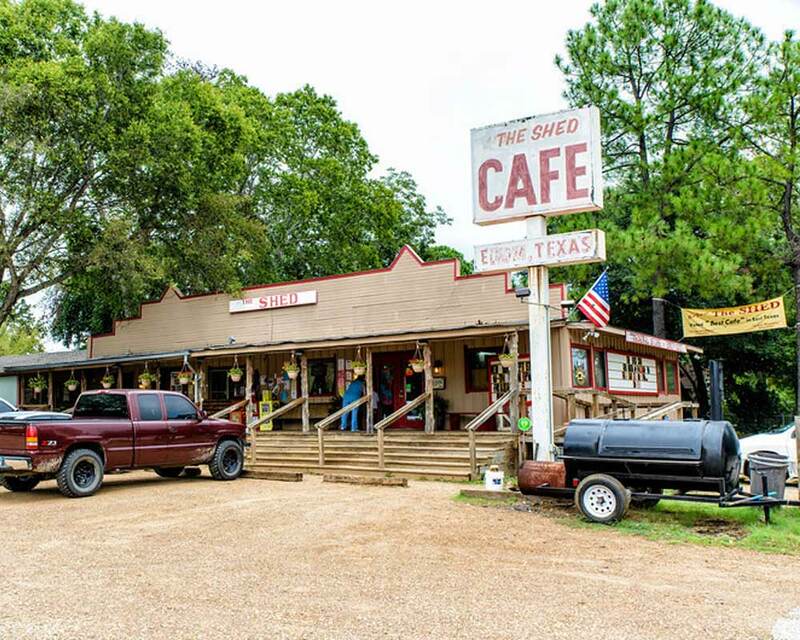 A legendary cafe named the #1 Cafe in East Texas by Texas Monthly, Texas Highways, Texas Landmark Cafes and Ride Texas. Serving down-home food and prize-winning pies for 55 years. 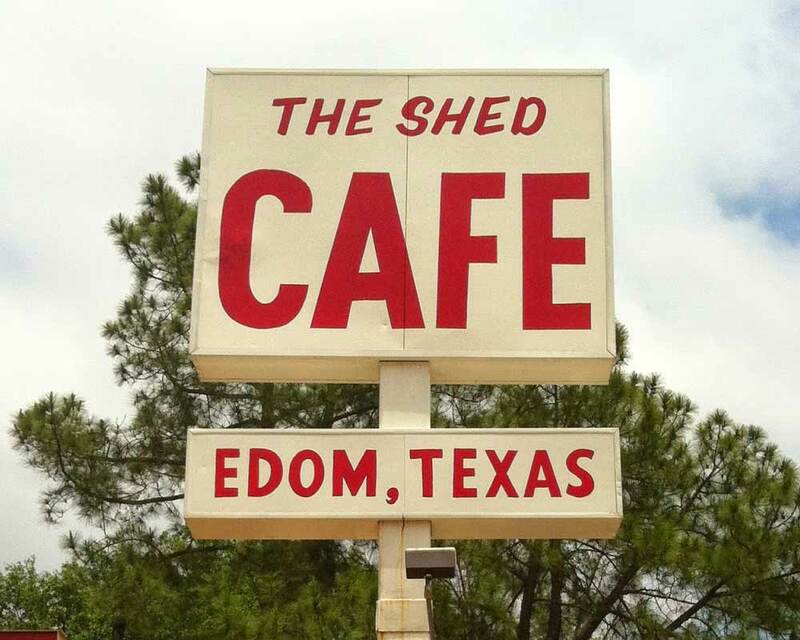 The Shed specializes in chicken fried steak, fried catfish, 10 oz. rib-eye, pinto beans and black-eyed peas, mashed potatoes and baked-fresh-daily rolls and cornbread and friendly service all day everyday!